Plumbing is one of the most important systems to maintain — when the plumbing malfunctions, the consequences can be serious and extremely apparent. 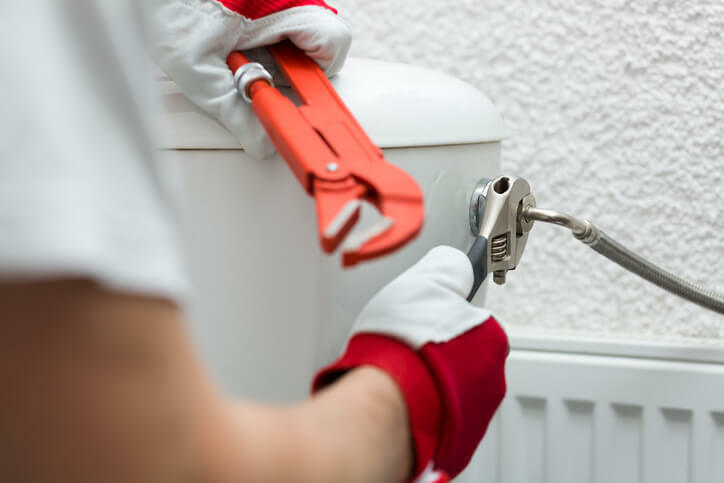 Nobody wants to be surprised with clogged drains and overflowing toilets, so make sure you contact Sunshine Plumbing and Gas for the necessary Ocala plumbing repairs or replacements to your home or business. Toilets are often taken for granted until the plumbing develops an issue. If the damage to your toilet seems minor, it can be difficult to differentiate between needing toilet repairs and toilet replacements. However, if a toilet constantly requires repairs the best solution may be to replace it with a new system. Our plumbing repair company can help you determine the best course of action for your plumbing system needs. Contact us today! What Plumbing Issues Indicate The Need For Toilet Replacement? Ocala plumbers with Sunshine Plumbing and Gas can provide toilet replacements and installations for residences, businesses, new constructions, and remodeling projects. Common signs that indicate a need for toilet replacement include the following plumbing issues. Even if a toilet is not broken, you may want to replace it for other reasons. Many people change their toilets when they aren’t comfortable, look outdated or are part of bathroom renovations. If you are remodeling a bathroom, call a professional plumber to ensure every new plumbing fixture is and system component functions optimally by the end of the project. Although blockages are not uncommon for toilets, perpetually clogged toilet drains may be symptomatic of a greater issue with the plumbing. If your toilet experiences a clog weekly — ruling out flushing non-flushable items and sewer line issues as causes — the toilet is probably too old. Many toilets made before 1994 use more than 3 gallons of water per flush. In 1994, the efficiency standard changed to 1.6 gallons per flush. Even some first-generation low-flush toilets lack the pressure necessary to clear their trap and drain. Substituting an outdated model with a newer low-flush toilet can rid you of the clog problem. A wobbly toilet may be the result of loose bolts, which can be easily tightened by a plumber. But a loose toilet can also be a sign of a bigger problem, such as rotting or water-damaged floors. As a general guideline, if your toilet wobbles because of too much wear and tear, corrosion or other damage, consider replacing it. For more information or to schedule plumbing services for toilet replacement and installation, contact us today. If you notice puddles of water around the toilet, check for cracks in the porcelain. When the puddles are there but cracks are not visible, other ways to check for leaks are to listen for sounds of water running constantly or to put a few drops of dye in the tank or bowl and see if the dye makes it to the floor. Cracks in the tank or bowl is a sign that you may a toilet replacement. Even if your old toilet still functions, plumbing and water leaks can waste a lot of water, damage floors, and result in mold growth.